10% open your email but only 5% (of those 10%) click-through. What happened between you pressing send and them sending it to the junk box? Well, don’t worry, I’ve got you covered. In this article I’ll be sharing with you some tips and tricks, which, while not claiming to “skyrocket your engagement rate by 1000%!” will, legitimately, do some good. Here are nine email hacks that we’ve found to get your emails opened and make your engagement rate soar. Let’s get started, in 3, 2, 1. Go! The emails you send need to be easily read in order for people to get the main points without reading every word (kind of like a landing page but a little less intense). Help your readers get your key messaging as quickly as possible by making it easy for them to skim for the most important points. Bold keywords in your text to contrast the words and draw the eye. Do not CAPITALIZE the words as it’s annoying, spammy, and the same thing can be accomplished by bolding. Create lists like the one I’m currently using. Lists break up text and make it easier to read the most important points. Encapsulate the most important information. Use a call-to-action button that stands out from the rest of the email. Look at the two emails below and tell me which one you’re more likely to convert on? What’s the point of a contest? Really, what’s the point? Real-world sales, right? Facebook Fans don’t pay the bills. Leads don’t fill your bank account. This article, by Claire Grayston, gives you five essential steps you need to take after your contest is over to turn success into dollars. They both contain the same information but the first one uses bolding and has a bright and informative call-to-action (“Check out the article”). The first one draws the recipient into the most important parts of the email. The second one requires the person to read the entire article to get the main points. When a person takes an action on your website and provides their email address, it’s the perfect opportunity to market to them further. You could just send them what they asked for but why not use this an opportunity to market to them further with an additional piece of content? This will also increase the chances of them clicking through on at least one of your email’s links so long as your second CTA is relevant and actionable. A person registers for your webinar but doesn’t attend. It happens, no need to stress yourself out. How about (instead of just sending them the webinar recording) you also send them another piece of content related to the webinar. If your webinar was on running a contest on Facebook, send them an ebook on using Facebook ads to drive traffic to a designated landing page (or contest). A person signs up for notifications from your blog. Create an automated welcome email which lets them know that you have a collection of ebooks to get them started with the basics or include a link to your social media accounts so they can stay up-to-date. By offering relevant and useful information related to the actions your leads have already taken, they’ll be more willing to read and click-through on your email. Increasing your engagement rate could be as simple as including a click-to-tweet in your emails. This will get the word out about your content easier and faster because it’s making it easy for your subscribers to share your valuable content. This isn’t just for blog posts but really for anything in your online marketing strategy. Get them to talk about your cool new product in exchange for a discount. CTT: I just tried [name of your product] and it’s helped me do [X-benefit]! RT for your chance to win a years supply. Basically, they easier you make it for your email recipients to share the content of your email the more likely it is to be engaged with. Before you get too deep into the nitty gritty of your email’s content, provide a link to whatever it is that you’re promoting. This makes it easy, if they’re already hooked by your subject line, to click-through on your offer. Is your email engagement not as awesome as you want it to be? Here are 9 email hacks you can use to boost it. If you want some more advanced tips be sure to check out: [link to a more advanced but relevant article you’ve written]. By including a link as close to the top as possible you avoid risking the immediate drop off. People could be interested in what you’re sharing, but the length of your emails may (again, like a landing page) discourage a click-through. Including a call-to-action on your emails is what’s going to get you click-throughs. This sounds too simple to be true but a lot of people forget to ask. 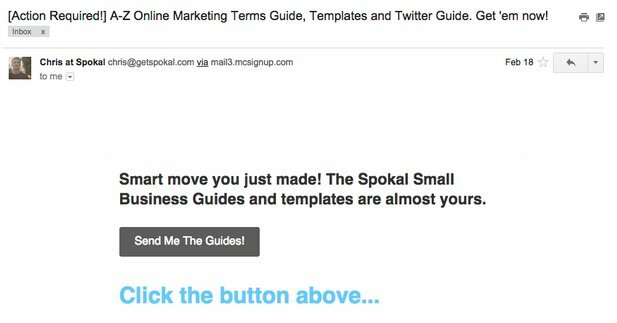 The email you send can include a series of mini CTAs that guide the recipient towards your overall end goal. Videos are incredibly popular at the moment. The thing is, simply showing the video in a still frame or sharing a link to the video isn’t going to be as appealing as the video itself. But how do you get people to click on it? There are tools available that allow you to turn your video into a short gif. Let’s say you have a 3 minute video, take 10-15 seconds worth of video in which you move around a lot. The gif will play without sound but will be more eye-catching and encourage people to check out the video. Including linked images to a site of your choosing is a sure-fire way to increase engagement within your emails. Start by placing an image in your email but ensure it includes a call-to-action. Having a photo with no context may leave some people wondering why you’ve placed it there in the first place and won’t encourage them to click. When you link an image you have the chance to include alt text in your email’s code. 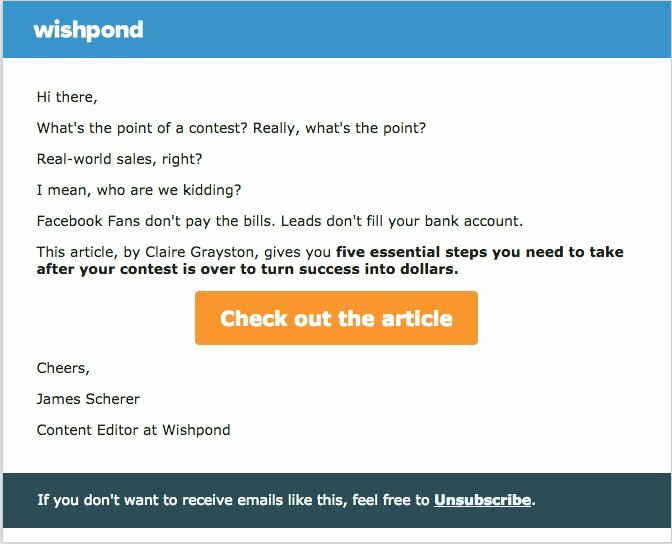 Most standard marketers will either ignore this option or simply repeat the subject line, article title, or what the image is. Smart marketers, like you, include marketing messages or encourage email recipients to click on your CTA. But what if you took the opportunity handed to you, and instead wrote, “Click this box to register for the webinar!” or something even more creative? This is how you stand out from the crowd people. The last chance email is a doozie. It’s that crucial email right before a particular action, step, or offer expires. The something bad could be anything from missing out on an event to having your subscription expire or having a price go up! Let’s look at these three events in detail to show how you can create urgency to get your email recipients to complete the desired action. Sending a last chance email will not only increase the chance of engagement, but will also encourage people to stick with you as a customer for a bit longer. The amount of emails I receive that have absolutely no creativity thrown into them make me depressed. They’ve shot their plain text into an email with a hyperlink to the offer they’re giving you and expect the recipient to be wowed by their complete lack of effort. If you want someone to click-through on your offer, it’s a good idea to make it visually appealing. Most professionals receive dozens of emails every day. If your business can find a way to prepare an email that is different from the others? Then you’re onto something. When you deliver an email to your recipients that is different (or novel) from the ones they receive every day (either through tone, design or offer), the chemical dopamine is released. Dopamine, as you likely know, is responsible for affecting the pleasure sensors in the brain. You heard me: original and creative ideas will, genuinely, make your email recipients feel more excited about clicking on your offer or engaging with your brand. Try implementing an animated template. Include background images or gifs. Be an out of the ordinary wordsmith. There’s no one guaranteed way to encourage your email recipients to click-through or engage with your offers. That said, there are a load of things which have worked for other businesses and could work for you. It’s all about testing and tweaking as much as possible. Do you have any email hacks that have helped you increase your email engagement? I’d love to hear them. Please share in the comments below.